Ettlinger injection molding machines are the ideal solution for pallet manufacturing. Virgin or recycled material and regrind can all be processed without any problems. Even complex pallet geometries with a closed deck can be produced with relatively low clamping forces. 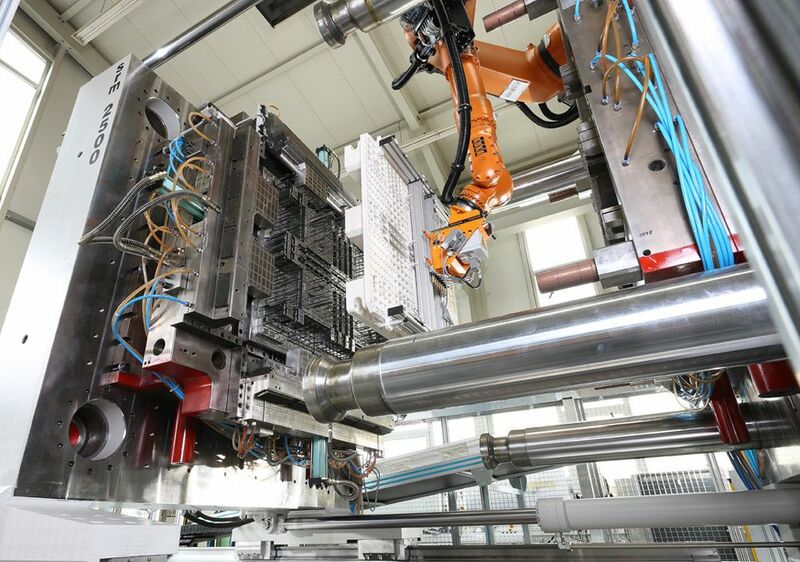 In addition to fully hydraulic machines, we can also supply hybrid models with an electrically driven plastication unit on request for even shorter cycle times and higher overall productivity. Plastic pallets are used for a variety of logistical tasks. The spectrum extends from simple, non-returnable pallets made from 100% recycled plastic to complex, returnable types manufactured from virgin material, for instance for the chemical and beverage industries.